Kevan, D.k. Mcewan. "Entomology". The Canadian Encyclopedia, 31 July 2018, Historica Canada. 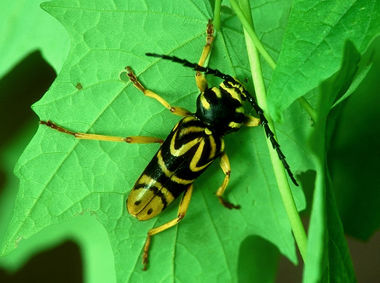 https://www.thecanadianencyclopedia.ca/en/article/entomology. Accessed 24 April 2019. Entomology is the branch of zoology dealing with the study of insects, although which organisms are included is open to interpretation. Entomology is the branch of zoology dealing with the study of insects, although which organisms are included is open to interpretation. Probably, those animals covered by the Gk word entomon ("cut up, segmented") are appropriately considered insects, eg, the arthropods, but crustaceans (except for a few terrestrial species) and a few small, marine arthropod groups, such as sea spiders and horseshoe crabs, are generally excluded. Entomologists study the following groups: Insecta; Myriapoda (eg, millipedes, centipedes); and Arachnida (eg, scorpions, spiders, mites, ticks). Hence, entomology embraces the study of the majority of known species of organisms. Entomology has made contributions to almost all life sciences, from ecology and taxonomy to genetics, molecular biology and medicine. The science comprises many subdisciplines including, among its more theoretical aspects, insect morphology, taxonomy, ecology, ethology, physiology and biochemistry. Agricultural, forest, medical and veterinary entomology (aimed at pest and disease control) and related branches (eg, environmental and pollination biology, quarantine services and forensics) are among its applied aspects. Ethnoentomology studies the role of insects in human culture. In Canada, entomology began as an applied discipline. In 1856, the Bureau of Agriculture and Statistics for the Province of Canada offered prizes for essays on various pests of wheat. The winners were amateurs; in fact, many early contributions were made by amateurs, eg, H.H. Croft, first president of the Entomological Society of Canada (est 1863), was professor of chemistry at King's College (University of Toronto). In 1884, James Fletcher became the first honorary Dominion Entomologist. He was officially appointed Dominion Entomologist and Botanist in 1886 and was transferred, in 1887, to the newly created Dominion experimental farm in Ottawa. In 1914, the Division of Entomology, Experimental Farms Branch, became a branch of the Dept of Agriculture - the Entomological Service, later part of the Biosystematics Research Centre of Agriculture Canada. Largely because of increased public awareness of the numbers of insects, the destruction that a small percentage of them do to crops and other products, and the distress caused by their transmission of diseases to humans and livestock, the demand for professional entomologists has increased enormously in the last 100 years. This demand, particularly in government, necessitated the establishment of university-level training in entomology. In Canada, independent university departments of entomology, which until the end of the 1950s were responsible for training half of Canada's professional entomologists, were founded at U of Manitoba, at U of Alberta and at Macdonald College, McGill U. As of 1994, only the U of Manitoba still retained a distinct entomology department. The department of environmental biology, University of Guelph is also predominantly entomologically oriented. Several other Canadian universities have departments of zoology or biology, with strong entomological representation (and often traditions), offering excellent educational and research facilities. These include the following universities: British Columbia, Simon Fraser, Saskatchewan, Toronto, McMaster, Carleton, Montréal, Laval, New Brunswick and Memorial. Some entomological research is carried on at most other Canadian universities. Most professional entomologists are employed by the federal government in Agriculture Canada and Forestry Canada. Both agencies have research laboratories and advisory services across the country. The Canadian Museum of Nature (formerly the National Museum of Natural Sciences) now employs staff with entomological interest, conducts entomological research and houses entomological collections. Provincial governments, including most provincial museums, employ entomologists in various capacities, and the larger municipalities engage a few. Various industries also have staff entomologists and, of course, universities and museums hire some. Entomologists may also become schoolteachers or may work with private firms undertaking environmental studies. Many are associated with government and international organizations and with exchange programs that deal with entomological or other problems. The principal entomological collections in Canada are those at Agriculture Canada, Ottawa (Canadian National Insect Collection); McGill U (Macdonald Campus, Lyman Entomological Museum and Research Laboratory); Royal Ontario Museum; Canadian Museum of Nature; and those associated with the Department of Entomology, U of Manitoba; the Department of Biological Sciences, U of Alberta; and the Department of Zoology, UBC. The first 4 are of international significance. 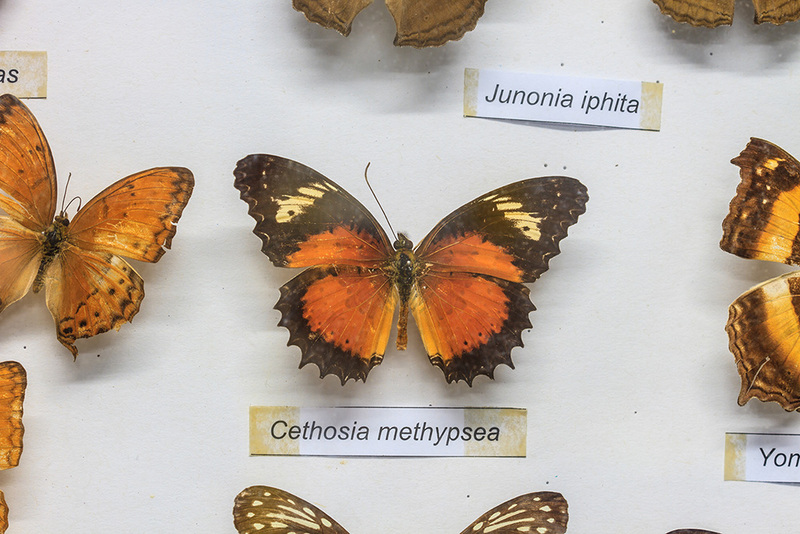 Insect collections are also held in provincial museums, notably at Halifax, Edmonton and Victoria. Canadian entomological societies include the Entomological Soc of Canada (the oldest national Canadian scientific society) which since 1868 has published its journal, The Canadian Entomologist; the Acadian Entomological Soc (serving the Atlantic Provinces and northern New England); La Société entomologique du Québec; entomological societies of Ont, Man, Sask, Alta and BC; and a few amateur, local societies.